Financial advice is no different to an investment in any other personal relationship — the chemistry really counts. Our clients are women that know they need to do something about their finances and don’t know where to begin but are confident they could benefit from some expert help in achieving their life goals. For just £300, less than the average price of an annual gym membership, rainchq customers will be introduced to a qualified and regulated financial adviser, as well as gain access to financial education and annual events hosted across the country. We strive to get to the heart of the issues that matter most to you, with no hard sell or product push, just an empathetic, human approach with financial advice delivered via video conferencing (although face to face is an option too) giving you the flexibility to access this part of the service at a time and place that best suits you. As part of your annual membership, rainchq customers will receive qualified and regulated financial advice twice a year. We follow a five step process to set a clear, measurable and realistic financial plan that works for you. Leave us your details for a call back within 48 hours. An informal call with our CEO, Davinia, to understand what you're looking for, explain more about the service and establish whether it might be right for you — no pressure, no hard sell. Nobody likes that. 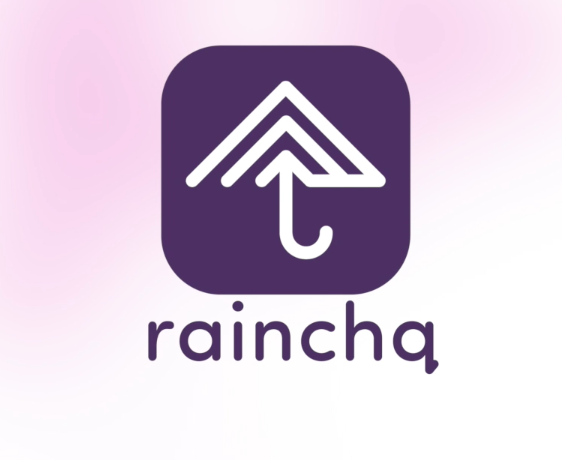 On signing up to become a rainchq customer, your very first session with your financial adviser will involve her getting to know you better to set the building blocks for the start of a fruitful long term relationship. Within a month of your first meeting, you will have a second session with your financial adviser during which she will present her recommendations based on your initial discussion and the goals you are working towards. Perhaps your most important meeting: after all, what gets measured gets done. Six months after you receive your recommendations, you will have your second financial advisory session during which you will have an opportunity to discuss progress as well as update your adviser on anything that might have changed since you last spoke and agree whether any new action might need to be taken as a result. We help you take control of your financial future by providing you with access to financial education, introducing you to a qualified and regulated financial adviser and offering you invitations to events all for less than the average price of an annual gym membership. We'll help you make moves towards taking control of your financial future by introducing you to a qualified and regulated financial adviser for two sessions a year delivered via video conference for your convenience, (though you're welcome to receive this in person if you'd prefer). We want to help improve not just your competence but your confidence in taking decisions designed to transform your financial future. We will deliver regular content through our dedicated rainmakers content hub to demystify some of the unnecessary jargon around some commonly used financial terms and give you back control. Receive one event invite for you and a friend to a rainchq event each year, hosted right across the country, where you'll meet with other rainmakers committed to improving their overall wellbeing, from financial through to physical. "I will work with you to understand your motivations, life goals and desires and help you craft a financial plan designed exclusively for you. I have spent the last 30 years working with clients to help simplify and secure their financial affairs. In that time I have experienced and advised upon the full breadth of personal and financial circumstances and developed long-lasting professional relationships. I am delighted to be working with rainchq, bringing to bear all of my experience as a Senior Partner at St. James's Place, to deliver something truly special."